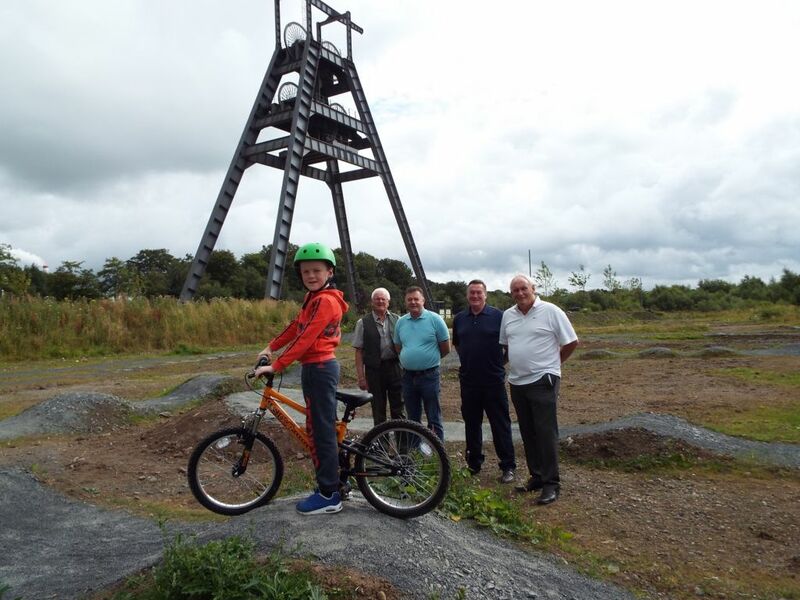 Over the last three years the Barony A Frame site has seen considerable changes courtesy of the hard work of board members and grants in excess of £400,000, from the Big Lottery Community Spaces Fund, the Minerals Trust, Score Environment and Ayrshire Leader. The grants awards funded a three year, two phase project to create extensive footpath and cycle connections, a cycle skills park and additional interpretation on site. Visitors can now leave their cars at the newly extended car park at the Barony and walk or cycle on one track to Dumfries House/ Cumnock or Ochiltree via public and private footpaths. Creating this network was at the heart of the Heritage Walks project to encourage more local people to use the site for exercise or education purposes. Young cyclists can take advantage of the cycle skills park to hone their cycling skills – there’s even a maintenance table for those who need space to give their bikes a once over. To complement the walk the Barony A Frame Trust has installed additional interpretation relating to mining and railways, and wildlife on the site, (the site is home to some rare and very rare wildlife populations). There is also additional landscaping plus a natural regeneration area on the site for wildlife enthusiasts. The construction works were commenced in 2013 and were fully completed in June 2015 (phase 1 – limited footpath connections and drainage works – were completed in March 2013) and are the end result of a series of consultation exercises with the local community. During the consultation period, the Trust went to great trouble to gather the opinions of children – what they wanted to see at the site, why they used the site (or not). The responses from the surveys were collated and initial drawings produced – these were also consulted on with local people before planning consent and grant applications being taken forward. The project has been a long and, at times, difficult one which has taken more than five years to bring to fruition. It has also been very rewarding. We would be delighted to share your experiences when visiting the Site. If you have any photographs taken on Site please send them to admin@baronyaframe.org 0r info@baronyaframe.org and we will be happy to upload them on to a public gallery page with your permission.